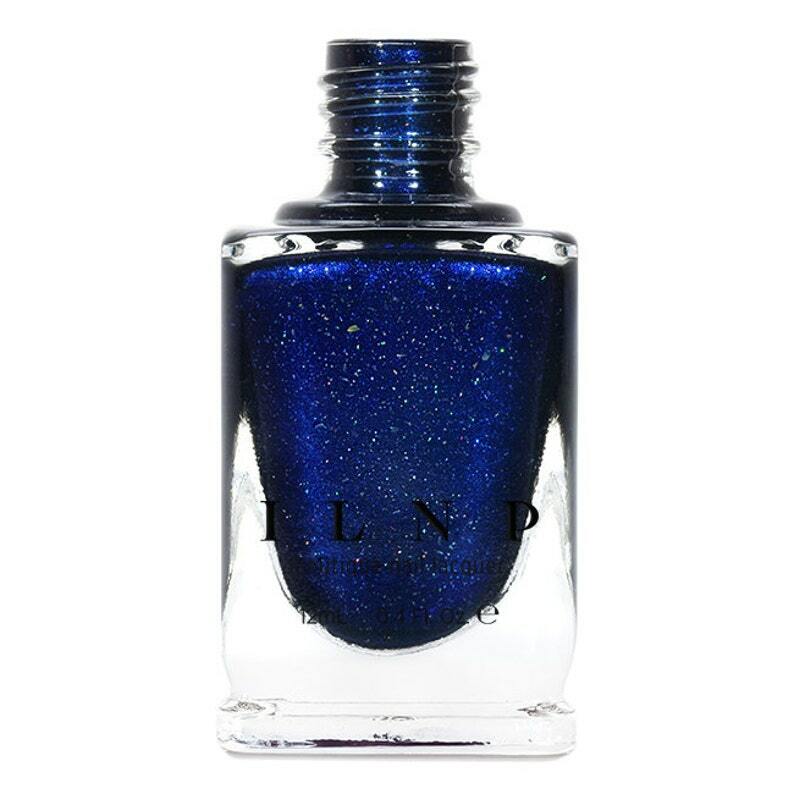 Looking Up is a captivatingly deep midnight blue nail polish that’s sure to remind you of a night sky filled with dazzling stars. Precisely formulated with the perfect balance of over-sized holographic pigments and an assortment of gold flakes for, Looking Up is stunning in any lighting conditions. Don’t be surprised if you find yourself reaching for this bottle again and again! Please be advised that this listing is for 1 (one) bottle of Looking Up holographic nail polish. Any base colors used in swatches and other photographs are not included unless otherwise stated. Beautiful nail polish!! Looks exactly like the pictures, very smooth, and doesn’t take many applications depending on which you apply. Very quick drying and overall I am very happy with the purchase! I got so many compliments on the color. The package did take a while to deliver, but other than that I have no complaints! Definitely will be buying from this store again!